AFDA students and alumni made the red carpet their own at the 13th annual South African Film and Television Awards, walking away with a host of Golden Horns. Alumnus, Daryne Joshua, picked up the coveted Best Director - Feature Film award for the acclaimed drama of Ellen Pakkies's life, Ellen, The Ellen Pakkies Story, which captured the hearts of audiences in South Africa and across the globe. Daryne, also known for directing Noem My Skollie, after winning the award said: "I don't think we made this film with the intention of winning any awards. But now that it has been recognised with four SAFTA Awards, it provides extra exposure and helps focus the attention back on the importance of Ellen Pakkies's story. "Artistically speaking, in this career of filmmaking, I am never too sure if I'm heading in the right direction or making the right choices. But winning the SAFTA for Best Achievement in Directing serves as confirmation that perhaps I'm doing something right. I am deeply appreciative for this recognition and I share it with the Ellen, The Ellen Pakkies Story film crew who shed blood, sweat and tears to bring the vision to life," Daryne adds. Willie Nel scooped up the Best Cinematography - Feature Film award for his brilliance on Meerkat Maantuig and Simon Beesley won the Best Editing - Feature Film award for his high-octane edgy- editing on Nommer 37. 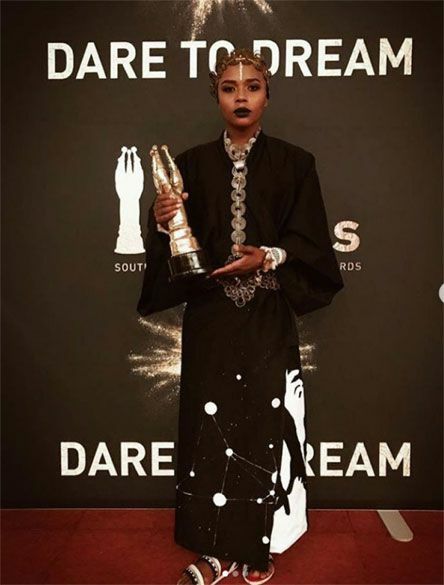 The television awards saw multi-award winning producer, writer and actress Thishiwe Ziqubu take home a Golden Horn for Best Scriptwriting - TV Drama for Emoyeni. Julian Koboekae and Meren Reddy won the Best Scriptwriting - TV Comedy for Thuli noThulani. Best Cinematography - TV Comedy went to James Adey for Tali's Wedding Diary and Masters student Richard Starkey got his Golden Horn for Best Editor - TV Comedy for Tali's Wedding Diary. 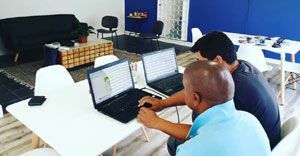 Mathew Jankes was part of the scriptwriting team on Isithembiso who were rewarded with the Best Scriptwriting - TV Soap award and Brett Anolik and Zeno Peterson also pitched in for Isithembiso winning the Best Editing - TV Soap and Best Cinematography - TV Soap awards respectively.